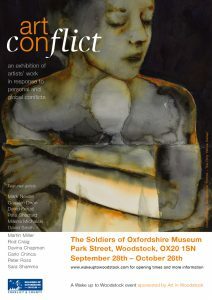 Artist in Residence, Milena Michalski, will feature in a new exhibition ‘Art on Conflict’ at the Soldiers of Oxfordshire Museum, as part of the Wake up to Woodstock Festival, curated to complement and reflect the themes of power, conflict and activism in Jenny Holzer’s show and night time projection at Blenheim Palace, SOFTER. Milena will be showing several works created from 2012 to 2017, including a new iteration of her ongoing sculptural installation series,‘Two Towers’ and a unique print loaned by King’s College London. The project’s official start date was 1 December 2016, and we launched with a panel discussion at the Sixth Annual Conference of the Historical Dialogues, Justice and Memory Network, NIOD Institute for War, Holocaust, and Genocide Studies, Amsterdam, December 1-3, 2016: ‘Confronting Violent Pasts and Historical (In)Justice’. 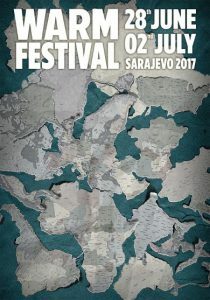 Dialogues of justice and reconciliation: the experience of the former Yugoslavia. When the ICTY was established, in May 1993, it was with the expectation that it would contribute to the restoration and maintenance of international peace and security. Twenty-three years later, and with its work now drawing to a close, attention is focused on whether it has been successful in achieving its goals. Certainly, the ICTY can boast a record of considerable achievements in terms of the number of people prosecuted and its reach into the most senior political and military leadership; it has also made enormously significant contributions to international law through its considerable jurisprudence. But what of its contribution to processes of coming to terms in the region where the crimes under its jurisdiction were committed? In particular, to what extent is the judicial legacy translatable to a ‘historical record’? Given the contention surrounding some of its more recent judgments, the relationship between a judgment and ‘history’ is all the more acute. And what is the relationship between the ICTY and its record and the development of historical memory and discourses of justice and reconciliation in the former Yugoslavia? The panel addressed these questions by focusing on certain aspects of the historical record created in key trials, and by turning the focus around to investigate how justice and reconciliation is practiced and understood locally. James Gow (King’s College London) presented part of his Leverhulme Major Fellowship research on ‘The Mladić Trial and the Legacy of the Yugoslavia Tribunal: Military Command and Responsibility at Srebrenica’ and Denisa Kostovicova (London School of Economics) discussed her Leverhulme-funded research on discourses of reconciliation: ‘Regional Reconciliation: Testing the RECOM initiative in the Western Balkans’. We were also joined by Iva Vukusic (Utrecht University), who presented her research on ‘Paramilitaries on trial: Examples from the former Yugoslavia’. The panel was chaired by Rachel Kerr (King’s College London).